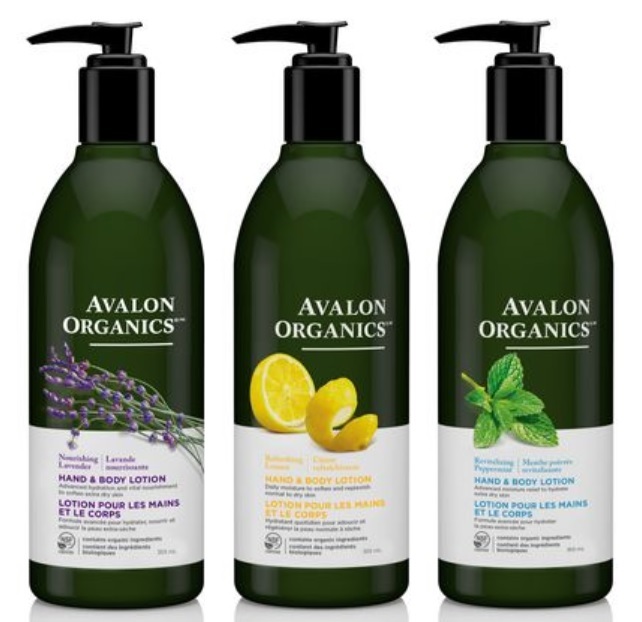 Treat your skin and senses to Avalon Organics Hand & Body Lotion! 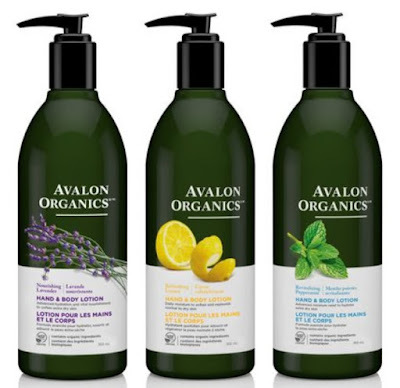 Avalon Organics Hand & Body Lotion - 355ml - $14.99 - full of certified plant-based organic ingredients that are good for your body and the earth - not only will your skin thank you for these, so will your nose - do they ever smell good! Nourishing Lavender - with lavender essential oil, aloe, plant lipids and nutrient-rich beta-glucan that work together to restore skin's natural lipid balance. Long-lasting hydration instantly replenishes, rebalances and softens extra dry skin. Refreshing Lemon - with lemon essential oil, safflower oil, aloe, shea butter and nutrient-rich beta-glucan that work together to restore skin's natural lipid balance. A daily dose of nourishing moisture keeps skin soft and supple. Revitalizing Peppermint - with peppermint essential oil, aloe, vitamin E and nutrient-rich beta glucan that work together to restore skin's natural lipid balance. Long-lasting hydration immediately revives and softens extra dry skin. Available now at Loblaws, Whole Food Markets, London Drugs, Safeway and Sobeys West stores across Canada and online at well.ca. TIPS Nail Bar takes on Toronto's West End! Essie Spring 2018 Collection - with swatches! Whip your skin into shape with Olay Whips! The Body Shop Lip Juicers - with swatches!